Anne and Gilbert, the musical featuring fictional redhead Anne Shirley that started its Summerside run earlier this month, has gone green. Producer Campbell Webster has purchased just over $300 in carbon credits to help offset fuel and other energy usage during staging of the theatre production, and ease the effects on the environment. 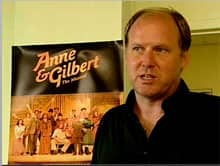 Campbell Webster, the producer of Anne and Gilbert, bought $300 worth of carbon credits. “There’s a certain elegance to it. It can be a simple way to offset the carbon fuels that you use,” Webster told CBC News. Being staged at the Harbourfront Jubilee Theatre from July 15 to Sept. 19, Anne and Gilbert is a love story based on Lucy Maud Montgomery’s popular Anne of Green Gables book series. Carbon credits are vouchers used to sponsor clean-energy research and projects, in an effort to counterbalance carbon emissions produced by activities such as driving or air travel. Webster purchased his credits from Planetair, a non-profit Montreal company dedicated to reducing greenhouse gases. Rebecca Parent, who plays Anne in this year’s production, has a two-hour round-trip drive to the Summerside theatre each day, and said the carbon credits will help the environmental cause. Webster said the production will continue to seek ways to offset its carbon footprint, adding he hopes to purchase more credits next year to help compensate for the fossil fuels burned by the stage lighting.